On August 4, 2014 Jim Frank of Cincinnati Ohio initiated a plan of action he and his wife Mary Frank had discussed. He was to reach out to local high schools to volunteer his time assisting a soccer coaching staff. He specifically targeted Cincinnati high schools with a socio-economically disadvantage student population. His experience working with this demographic group led him to first reach out to Withrow High School. And he did so on that August day and was quickly invited to participate. Unbeknownst to Jim, Tyler Barrott, the Withrow Head Coach for men’s soccer had already started a campaign to even the playing field for his players. All but one of the 33 players in the soccer program were/are foreign born kids and all were/are refugees from war torn nations. Wow, certainly not quite the demographic Jim was anticipating. And recognizing that Tyler had little to no staff, Jim ended up committing more time than originally anticipated. Just the year before, Tyler’s first year coaching, Tyler had to adjust his player substitution strategy based on shoe sizes shared among similar sized players. Obviously, he was committed to not having to endure this dilemma again. So his campaign to reach out for funding and/or shoe donations began. And it was successful, garnering enough to outfit his team with much needed equipment, uniforms and personal gear for each player. The personal gear included used shoes. * Over the past 5 years, the average team advancing to the final four of the state tournament had a median income of $87,000. * The average income of a family attending Withrow Hight School is $23,000. 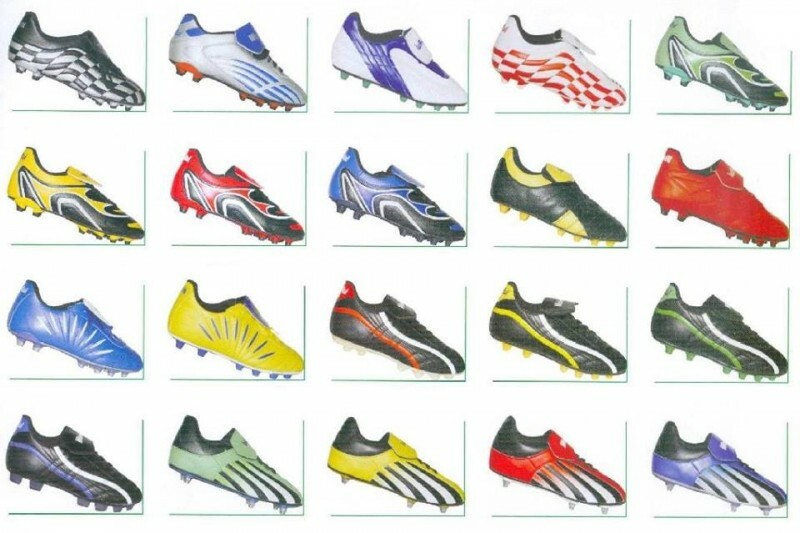 Initially, the used shoes were perceived as a great gift to solve the substitution issue and to provide players with the appropriate equipment to be competitive. But as the season wore on, players soon began complaining of sore feet, ankles, knees and shin splints. A promising 4-2 start quickly unraveled with 1-5-1 finish. The culprit, the used shoes, were most likely creating unnecessary stress on the players’ lower extremities due to the shoes haven been broken-in and molded to the feet and gait of the previous owners/wearers. Not wanting to endure another season where players became unnecessarily fatigued, Tyler and Jim implemented a voluntary off-seasoning conditioning and training program for the players. Initially, the first few sessions were attended by the underclassmen, then over time the upperclassmen. Eventually, the soon-to-be-graduates started to participate even though they will have graduated by the fall season. The soccer program was maturing. So with Jim committing so much time and effort to the program, and seeing commitment from the players, the weakest link to success was no longer the willingness of players to commit to the program, but it was now the quality of the shoes necessary to endure such commitment from each player. It Starts with the Shoes was created to address this immediate and reoccurring need with the hopes of growing beyond one school, one school district, one community or one region. It became Jim and Mary Frank’s mission. We have a great gift for you! Make a donation to ISWTS by August 30 and you will be entered into a drawing to win 4 tickets to FC Cincinnati September home match with an autographed ball. Every $25 increment gets your name in ($75 donation gets you three entries). Message us for home address or donate through our GoFundMe page. Thank you for helping us help others and aid these unique members of our soccer community. It has been a very exciting past 7 days with It Starts With the Shoes! The Withrow Tigers had a preseason tournament during one of the hottest weekends of the year this past weekend at McNicholas High School. The team participated in 3 games and worked hard together. The team was then invited to the half time shoot out of the FC Cincinnati game on Saturday afternoon along with the players from LaSalle High School. Our donors are once again coming through for us. We received 20 brand new pairs of shoes in the mail this week that will be put to great use by the local refugees, autographed FC Cincinnati team soccer ball with game vouchers and cash/check donations. Financial support of our cause provide pre and post game meals to the players and will help toward our goal of solving the difficult transportation issue. Their day is much different than most other soccer players. For this past Saturday's 8am game, the players were up getting picked up by coaches as early as 5:45am to then arrive at school and take a bus to the game field. Jim was out picking up breakfast bars to get something in their bodies before game time. After two games, a post game meal and a sponsored trip to FC Cincinnati, the coaches then drove the players back home. Our biggest challenge right now is transportation. We are working to find a way to limit their travel time to and from school and games that prevent multiple bus routes and very long days. 1. consider a donation of cash/check or new shoes/soccer equipment. 3. share with your friends & family this cause that you have supported - every little bit helps. 2016 Annual Fundraising Campaign Begins! Please consider a donation once again this year. 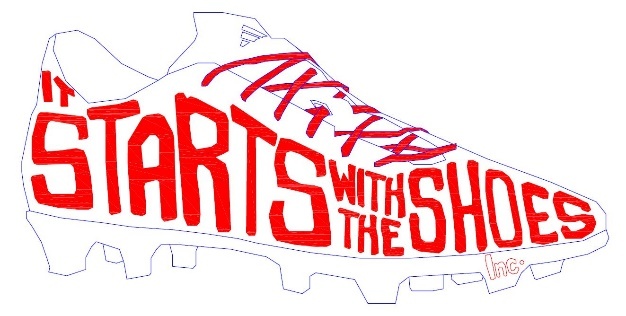 Thank you very much for your support of It Starts With the Shoes, Inc. We started in 2015 to provide the refugee soccer players at Withrow High School with the opportunities with which many of us took for granted as kids and parents - new shoes, shin guards, balls, meals/food before or after games, transportation to and from school and games. Together we made a difference right in our own community and the life of a refugee. We are thankful for your support and we will continue to work so that all may enjoy the beautiful game of soccer. "We can all find a purpose on this earth larger than ourselves." Danielle Green at the #ESPYS. As Jim and I watch the ESPYs tonight - we are reminded by the Pat Tillman Award Recipient that we all have a purpose and it is our responsibility to make our community better. These last weeks have been so amazing - the generosity of the community, co-workers, friends, family and local businesses is amazing. As we are working hard to tell our mission to the community, we have been seen on-line, in the Cincinnati Enquirer and the Community Press publications. We have been contacted for TV interview and called by Withrow Alumni. But it is not about us - it is about all of you and what a difference you are making for a refugee soccer player at Withrow. Because of you - they are being given a chance to compete in the beautiful and universal game of soccer. Because of you - they don't have to worry about whose shoes they will share or even if they will have a pair of shoes to play in this season. Jim is working hard to prepare these young athletes with a two week soccer camp. He has been pounding the pavement to work with local food restaurants to have lunch provided during the camp. A big THANK YOU to Kroger, Subway in Oakley Square, Brueggers Bagels in Hyde Park Square, Maggiano's in Kenwood Towne Center are all on board. In the coming weeks we will share with you the excitement and joy from the kids when they get their shoes. Although we can't always show you photos to protect their privacy as minors, we will do our best to share their pure gratitude. Jim and I are grateful for each of you and your generosity. Stay tuned for more to come. Have a great year, Withrow! Wonderful example of what can happen when you have a great idea that benefits others!